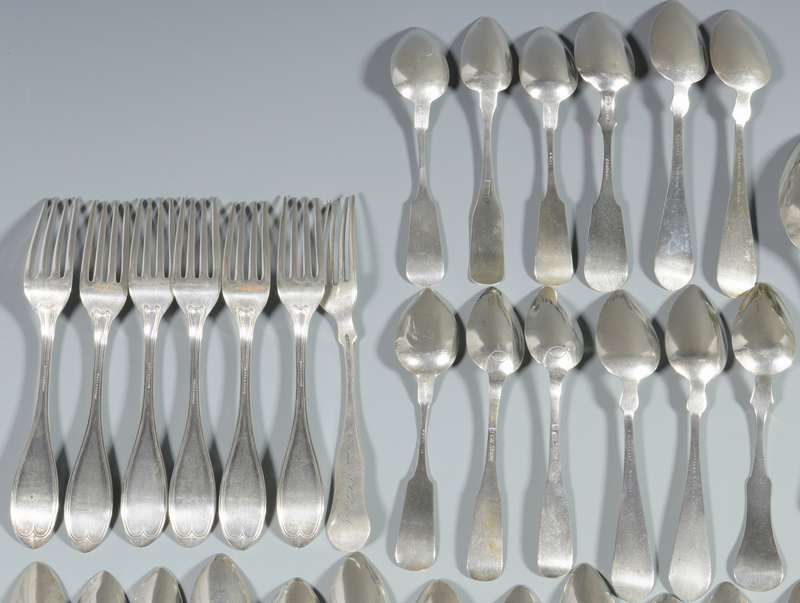 Lot 861: Silver Flatware, Mostly Coin, 59 pcs. 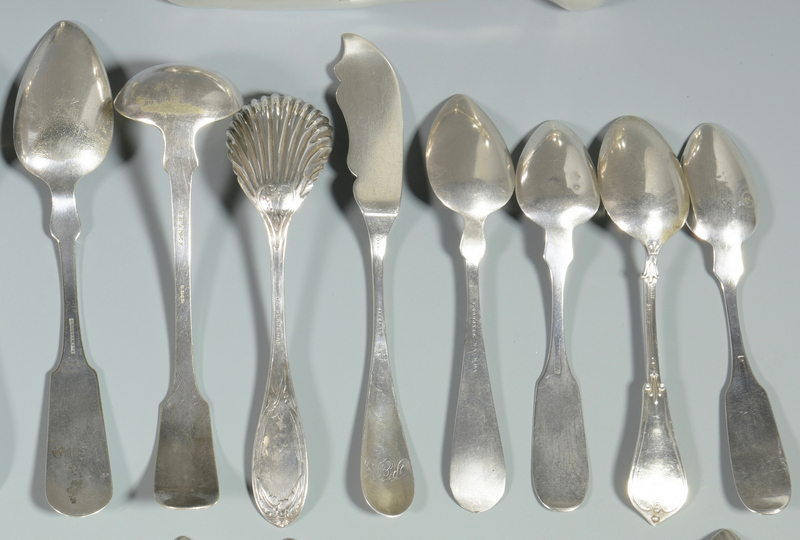 You are here: Home >> July 30, 2016 Historic Southern Summer Auction >> Lot 861: Silver Flatware, Mostly Coin, 59 pcs. 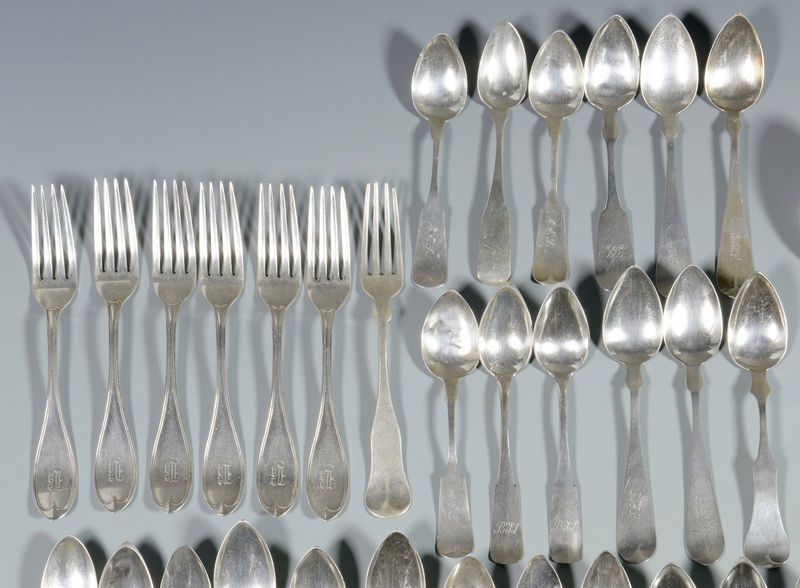 Large grouping of silver flatware, 60 pcs. 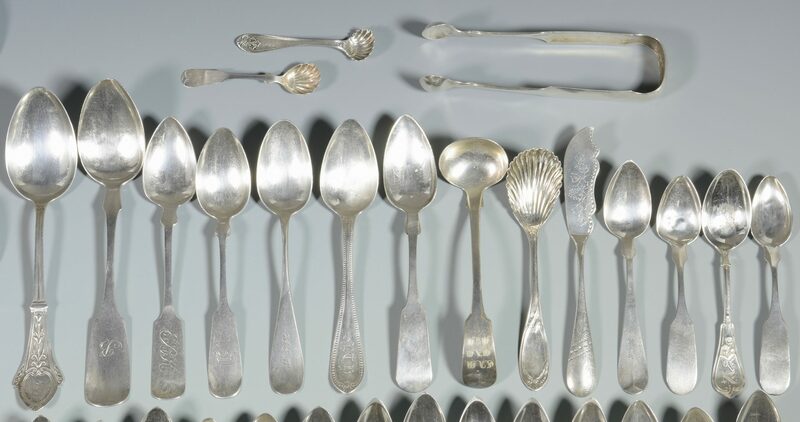 including 35 coin silver teaspoons, 4 coin silver table or serving spoons and 7 coin silver forks. Makers include: J.L. Smith, W. Goddard, L. lasomus, Platt and Brothers, Butler McCarty and Co., Joseph Brems, J.O. and W. Pitkin, Hazen, H. Muhr and Son, Harding, Hall and Elton, Newell Harding and others. Lot also includes 1 E. Lownes coin silver sugar tongs, 1 Maynard coin silver flat handled master butter, 1 J. C. Blackman coin silver sugar shell and 2 possible coin silver salts spoons by G. F. Barr and "HSB". 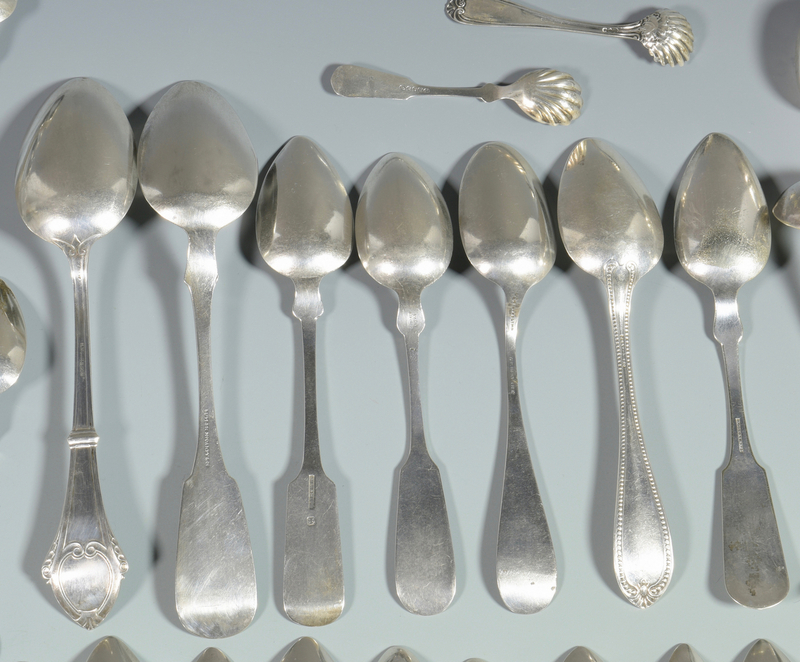 Sterling silver items include 3 sterling teaspoons by Wendell Mfg. Company, 3 sterling teaspoons by Whiting Mfg. Company, 1 sterling tablespoon by Gorham and 1 sterling tablespoon by Frank Smith Silver Co. Lot also includes 1 silverplated ladle and 1 silverplated teaspoon (not included in total number of pieces). Total weighable coin silver: 34.995 troy ounces. Total sterling weight: 5.20 troy ounces. CONDITION: Overall general wear to all pieces. A few spoon bowls with deep pitting and wear.